Hunting Base Layer T LW. Light Weight Layer. 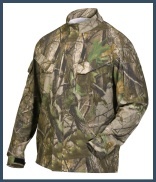 X System has taken this basic base layer hunting garment and added advanced scent elimination technology Wear as the most effective base layer available in the hunting industry or alone as a comfortable outer layer. Fabric is 100% Polyester, with X-System technology. Available in Green, Sizes M,L,XL,XXL,XXXL. Hunting Base Layer T MW. Mid Weight Layer. 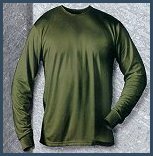 X Scent has taken this basic base layer hunting garment and added advanced scent elimination technology to it by sewing it into the fabric. 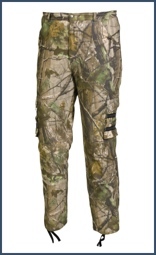 The new X Scent unlined Lightweight Six pocket Pant is perfect for hot, humid early season hunting. This pant is made from the latest development in performance moisture management and heat wicking fabric – XF058. XF058 is an X Scent exclusive polyester fabric with 5 percent X-STATIC that wears extremely light on the skin for unmatched comfort. K & H 7-Pocket Pant. X Scent Lightweight Knit Gloves complete our scent elimination program for early season hunters that want to eliminate odor on their hands.